In a Judgment delivered yesterday in Kamlesh Kumar Vs. State of Bihar [Criminal Appeal No. 2083/2013 arising out of SLP (Criminal) No. 10056 of 2012] the Supreme Court bench of Justice Radha Krsihnan and Justice Sikri has held that though the holder or payee of a cheque has the right to present the same any number of times for encashment during the period of its validity, non-issuance of notice within the limitation prescribed would render the complaint as not maintainable. The complainant had not filed the complaint on the dishonour of the cheque in the first instance, but presented the said cheque again for encashment. Cheque was presented, for the second time, on 10.11.2008. The complainant, however, sent the legal notice on 17.12.2008 i.e. much after the expiry of the 30 days. It was clear from the complaint itself that the complainant had gone to the bank for encashment of the cheque on 10.11.2008 but the cheque was not honoured due to the unavailability of the balance in the account. Despite receipt of information about the dishonour of the cheque on 10.11.2008 itself, the complainant did not send the legal notice within 30 days there from. 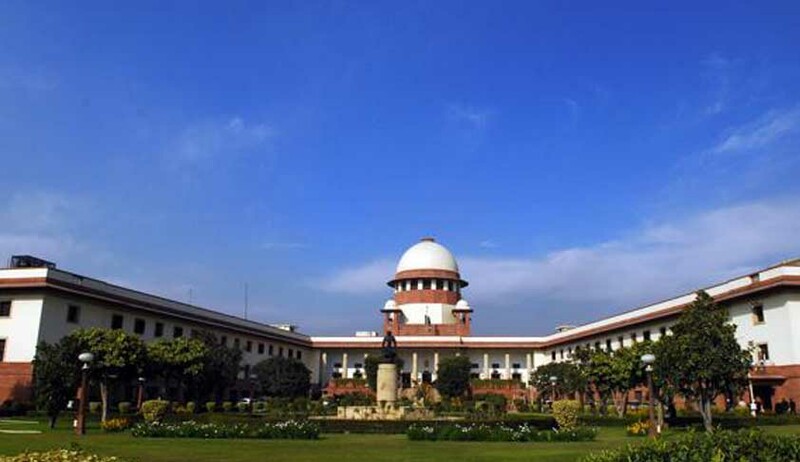 Supreme Court held that the complaint is not maintainable since it is barred by limitation. Section 142 of the Negotiable Instruments Act governs taking of cognizance of the offence which starts with a non obstante clause. It provides that no court shall take cognizance of any offence punishable under Section 138 except upon a complaint, in writing, made by the payee or, as the case may be, by the holder in due course and such complaint is made within one month of the date on which the cause of action arises under clause (c) of the proviso to Section 138. In terms of clause (c) to Section 142, no count inferior to that of a Metropolitan Magistrate or a Judicial Magistrate of the First Class is competent to try any offence punishable under Section 138. According to the Court, a careful reading of the above provisions makes it manifest that a complaint under Section 138 can be filed only after cause of action to do so has accrued in terms of clause (c) of the proviso to Section 138 which happens no sooner than when the drawer of the cheque fails to make the payment of the cheque amount to the payee or the holder of the cheque within 15 days of the receipt of the notice required to be sent in terms of clause (b) of the proviso to Section 138 of the Act. The presentation of the cheque and dishonour thereof within the period of its validity or a period of six months is one of the three requirements that constitutes "cause of action" within the meaning of Sections 138 and 142 (b) of the Act, an expression that is more commonly used in civil law than in penal statutes. For a dishonour to culminate into the commission of an offence of which a court may take cognizance, there are two other requirements, namely, (a) service of a notice upon the drawer of the cheque to make payment of the amount covered by the cheque, and (b) failure of the drawer to make any such payment within the stipulated period of 15 days of the receipt of such a notice. It is only when the said two conditions are superadded to the dishonour of the cheque, the holder/payee of the cheque acquires the right to institute proceedings for prosecution under Section 138 of the Act. The right to complain remains legally enforceable for a period of 30 days counted from the date on which the cause of action accrued to him. The Court held that, there is nothing in the proviso to Section 138 or Section 142 for that matter, to oblige the holder/payee of a dishonoured cheque to necessarily file a complaint even when he has acquired an indefeasible right to do so. The fact that an offence is complete need not necessarily lead to launch of prosecution especially when the offence is not a cognizable one. It follows that the complainant may, even when he has the immediate right to institute criminal proceedings against the drawer of the cheque, either at the request of the holder/payee of the cheque or on his own volition, refrain from instituting the proceedings based on the cause of action that has accrued to him. Such a decision to defer prosecution may be impelled by several considerations but more importantly it may be induced by an assurance which the drawer extends to the holder of the cheque that given some time the payment covered by the cheques would be arranged, in the process rendering a time- consuming and generally expensive legal recourse unnecessary. The Court proceeds on acknowledging the present day business transactions. According to the Court, a fresh presentation of the cheque may result in encashment for a variety of reasons including the vicissitudes of trade and business dealings where financial accommodation given by the parties to each other is not an unknown phenomenon.” Suffice it to say that there is nothing in the provisions of the Act that forbids the holder/payee of the cheque to demand by service of a fresh notice under clause (b) of the proviso to Section 138 of the Act, the amount covered by the cheque, should there be a second or a successive dishonour of the cheque on its presentation." “It is thus clear that period of limitation is not to be counted from the date when the cheque in question was presented in the first instance on25.10.2008 or the legal notice was issued on 27.10.2008, inasmuch as the cheque was presented again on 10.11.2008. For the purposes of limitation, in so far as legal notice is concerned, it is to be served within 30 days of the receipt of information by the drawyee from the bank regarding the return of the cheque as unpaid. Therefore, after the cheque is returned unpaid, notice has to be issued within 30 days of the receipt of information in this behalf”. “That is the period of limitation provided for issuance of legal notice calling upon the drawer of the cheque to make the payment. After the sending of this notice 15 days time is to be given to the noticee, from the date of receipt of the said notice to make the payment, if that is already not done. If noticee fails to make the payment, the offence can be said to have been committed and in that event cause of action for filing the complaint would accrue to the complainant and he is given one month time from the date of cause of action to file the complaint”. Since the complainant failed to send the notice within that period Court set aside the order of Patna High Court and quashed the proceedings before the trial Court.